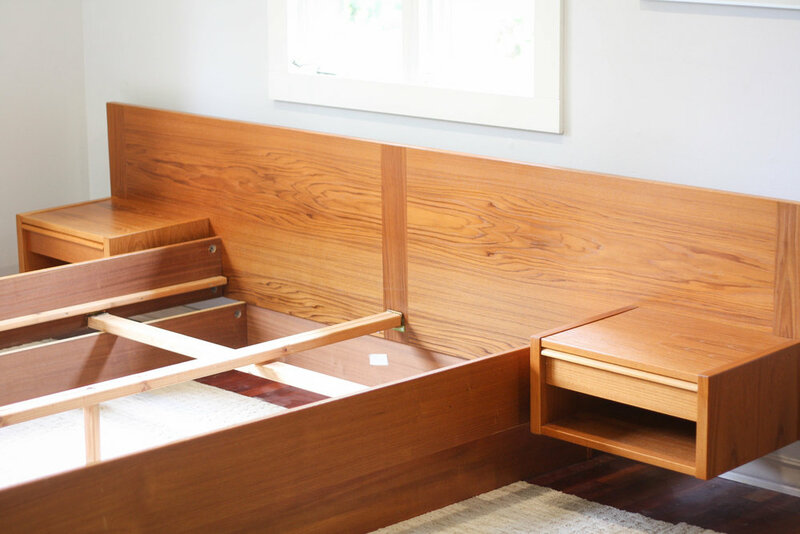 A gorgeous example of a Danish mid century modern, Queen, teak platform bed with floating nightstands. It perfectly represents the mid century ideals of clean lines and a minimalist presence and couldn't be easier to assemble. 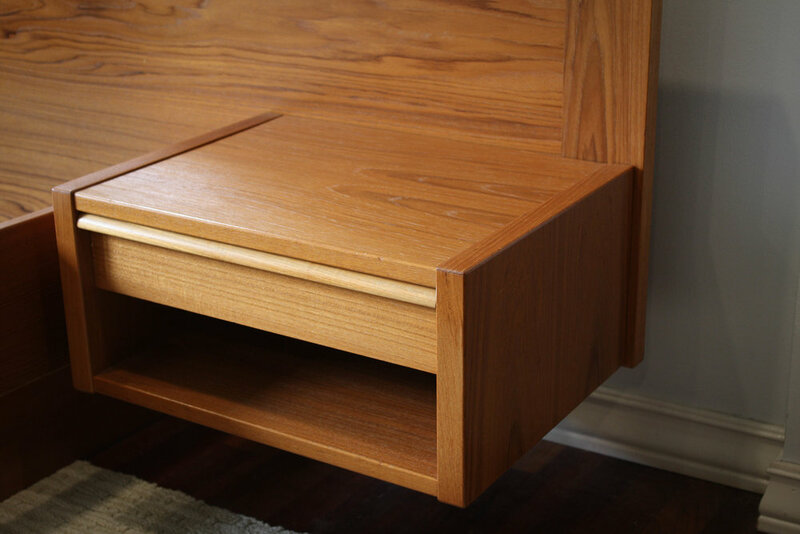 The teak platform base gives the bed an awesome floating effect. The low profile headboard makes sure this piece keeps your bedroom light and airy feeling. Labeled "Made in Denmark" so you can be assured this isn't a Chinese knock off. Slats are not included but can be easily purchased via Amazon, IKEA, or Home Depot if needed. This bed is in good vintage condition. All the important areas show beautifully, especially the headboard and nightstand tops. Some scratches around the platform base. One fastener is missing, which does not compromise the structural integrity in any way. One spot of veneer loss on a side rail. Each piece is individually labeled for easy assembly guidance.